The updated VW I.D. Crozz has a wide hood and coupe-like appearance. Volkswagen brand said it will show a further developed version of its I.D. Crozz full-electric SUV/crossover at next week's Frankfurt auto show. The updated concept better reveals what a future production version will look like. The concept's front and rear end designs, in particular, point more in the direction of a production model, VW said in a statement on Wednesday. VW said that the concept has a "highly contemporary SUV look" with a gloss black roof and a lounge-like interior with four "variable" individual seats. 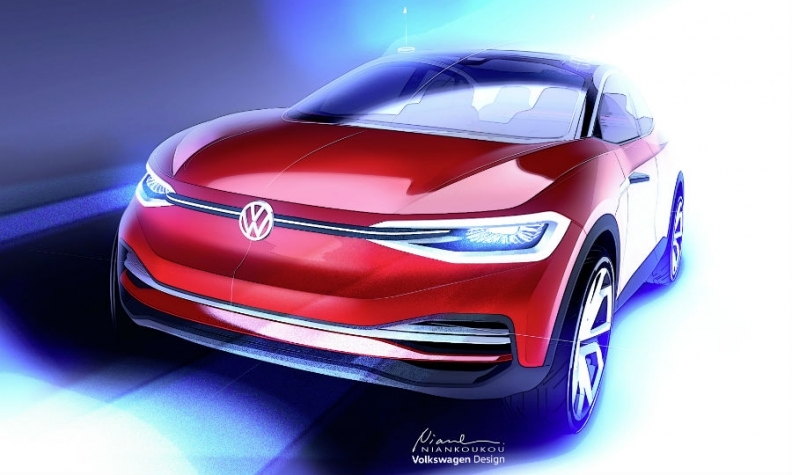 The concept and its production versions will be underpinned by VW's new MEB architecture for electric vehicles, which allows the batteries to be integrated into the floor, freeing up space in the interior. VW showed the first concept of the coupe-styled I.D. Crozz at the Shanghai auto show earlier this year, saying it heralded a production version due to go on sale in 2020. A Microbus-styled version of its I.D. Buzz. The I.D. hatchback will be the first production EV built on the MEB platform. It will go on sale in 2020 and will have a range of as much as 600 km (370 miles), Bloomberg reported.